If you are one of those guys who get frustrated whenever you try to play a media file and then it wont play with your media players , sometime due to non-availability of Video /Audio codec or sometime some other problem. After that you start searching for the solution and find some softwares with heavy price tag to play your media files. I am just compiling the best five(5) media players for free which play almost any media format and that too without any price tag. Along with that you got tons of options for Audio / Video to play with. These options providing some rare options to make your Audio / Video experience memorable. It is all-in-one media player covering various formats such as VCD, DVD, AVI, MKV, Ogg, OGM, 3GP, MPEG-1/2/4, WMV, RealMedia, QuickTime etc. It has an extra feature to play Incomplete/Damaged AVI file, Locked Media Files while downloading or sharing, Compressed Audio Album (zip, rar) and so on. You can add subtitles and capture audio, video, and screenshots. The player can set multifarious audio and video effects, control playback speed and octave, select parts of a video as favorites. It got tons of customizations, equalizer settings and even 3D options and many more. Give it a try, you wont regret it. Download it here. 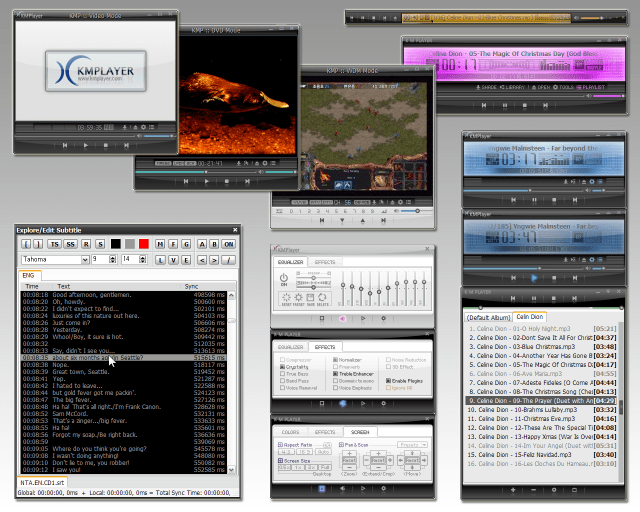 MPlayer is a movie player which plays most MPEG/VOB, AVI, Ogg/OGM, VIVO, ASF/WMA/WMV, QT/MOV/MP4, RealMedia, Matroska, NUT, NuppelVideo, FLI, YUV4MPEG, FILM, RoQ, PVA files, supported by many native, XAnim, and Win32 DLL codecs. You can watch VideoCD, SVCD, DVD, 3ivx, DivX 3/4/5, WMV and even H.264 movies. Another great feature of MPlayer is the wide range of supported output drivers. It works with X11, Xv, DGA, OpenGL, SVGAlib, fbdev, AAlib, DirectFB, but you can use GGI, SDL (and this way all their drivers), VESA (on every VESA compatible card, even without X11!) and some low level card-specific drivers (for Matrox, 3Dfx and ATI), too! Most of them support software or hardware scaling, so you can enjoy movies in fullscreen. MPlayer supports displaying through some hardware MPEG decoder boards, such as the Siemens DVB, DXR2 and DXR3/Hollywood+.I have written in detail about Mplayer here. TakeÂ a Look at what it is capable of. VLC Media Player :- VLC media player is a highly portable multimedia player for various audio and video formats (MPEG-1, MPEG-2, MPEG-4, DivX, mp3, ogg, …) as well as DVDs, VCDs, and various streaming protocols. It doesn’t need any external codec or program to work. Download it here. Media Player Classic :- Media Player Classic is a compact media player. It looks and feel same as old light-weight Windows Media Player 6.4. However, it has all the options and features one might expect from a modern media player. This player is capable of VCD, SVCD and DVD playback, without the need to install any additional software or codecs. 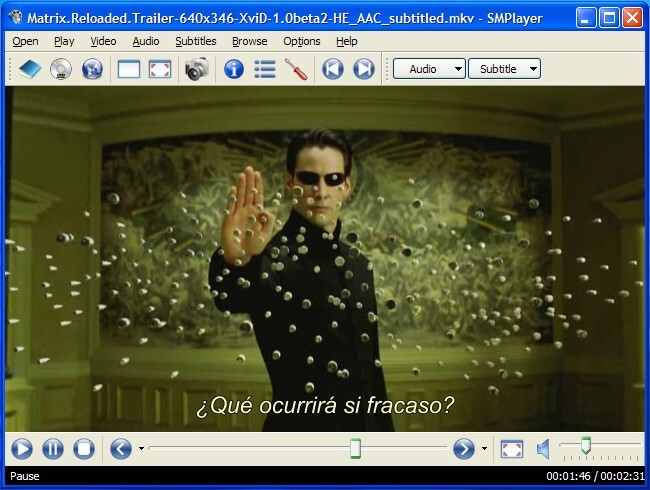 Media Player Classic has built-in codecs for MPEG-2 video with support for subtitles and codecs for LPCM, MP2, AC3 and DTS audio. It also contains an improved MPEG splitter that supports subtitles on SVCDs and supports direct playback of VCDs and SVCDs using its VCD/SVCD/XCD Reader. It has *.mp4 and MPEG-4 Timed Text support. An AAC decoding filter has been present in MPC for a while, which makes MPC suitable for AAC playback in mp4. 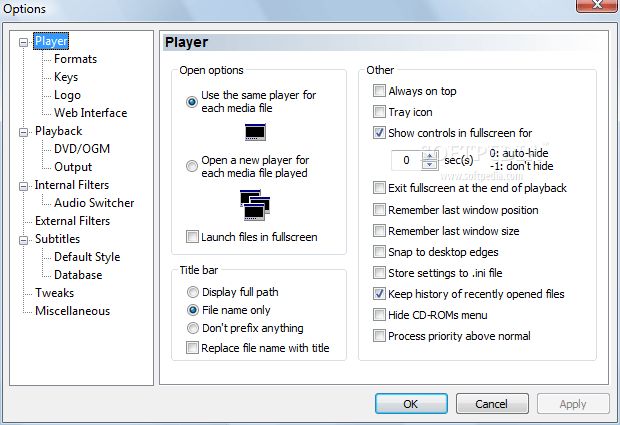 Download Media Player Classic here. GOM Player :- It supports most of the condecs (AVI, DAT, MPEG, DivX, XviD, WMV, ASF more) by its own embedded codec system that you won’t have to look for appropriate codecs everytime when you can’t play a certain video format. – able to play incomplete or damaged AVI file by skipping the damaged frames. And it can also playback Locked Media Files while downloading or sharing (with real-time index rebuilding under certain condition: AVI downloading in consecutive order). – GOM also supports HTTP Streaming ASF/OGG/MP3/AAC/MPEG PS/MPEG TS: Only work with internal splitters). – GOM also support its own skins, Subtitle, Overlay Mixer features, Optimized buffer for streaming Automatic ASF source filter, Keys Remapping, Superspeed/High Mode, Enhanced Filter Rendering and full-Unicode. DOWNLOAD GOM Player here. Gom doesn’t support real media with its buldin codec. E.g *.rm *.rmvb is real media with official file extension. SMPlayer seem doesn’t fully support Unicode, I play file with VN character in file name and it can’t play. Otherwise, rename file SMPlayer can work again. But sometime I want my file ‘ve got correct name and player should support unicode as large range of applications. BTW, they’re very nice media player indeed. My fav is KMPlayer, too. And I also use VLC and GOM aside. And some another free ones.